Dr. Prudence Fisher received her Bachelor’s degree (Psychology) from Johns Hopkins University and her M.S. and Ph.D (2001) from Columbia University School of Social Work. Dr. Fisher is Associate Professor of Clinical Psychiatric Social Work in the Department of Psychiatry at Columbia University College of Physicians and Surgeons and Research Scientist at New York State Psychiatric Institute (Division of Child and Adolescent Psychiatry). Dr. Fisher’s main research focus is on the development and testing of assessment measures for children and adolescents. She is widely acknowledged in the field at large as someone who is knowledgeable about assessment issues and actively collaborates with investigators both within the Department of Psychiatry at Columbia and at other institutions and a consultant for federal and state agencies. Dr. Fisher has been instrumental in the development of numerous versions of the Diagnostic Interview Schedule for Children (DISC), the most widely used diagnostic interview for youth, and of many other widely used measures, including the Children’s Global Assessment Scale (CGAS), the Columbia Impairment Scale, and the Columbia Suicide Severity Rating Scale (C-SSRS), among others. Dr. Fisher completed an NIMH project to develop an innovative computer administered interview designed to improve the detection of side effects from psychotropic medications in adolescents, the Columbia Health and Adverse Reactions to Medications Screen (CHARMS) and recently completed an NIMH funded grant for a study to address the validity of diagnostic categories and criteria for child and adolescent psychiatric disorders. Dr. Fisher was an advisor to five of the DSM-5 workgroups/committees and principal investigator on one of the DSM-5 child field trials. She also received two contracts from American Psychiatric Association to undertake analyses to inform DSM-5 decisions. 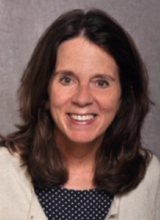 Currently Dr. Fisher is Principal Investigator on a CDC funded project to update the DISC for DSM-5 and is faculty on the Child Psychiatry Research Training Grant. Dr. Fisher has an adjunct faculty appointment at the Columbia University School of Social Work where she teaches a popular course on child and adolescent psychopathology to Master’s students. Since 2007, she has been a member of the review panel for the Journal of the American Academy of Child and Adolescent Psychiatry and serves as an occasional reviewer for a number of journals, typically for studies focusing on diagnostic assessment issues. In addition to her work on assessment issues, Dr. Fisher has also been involved in studies on adolescent suicide and its aftermath. Since 1989 has been member of the scientific advisory board at the American Foundation for Suicide Prevention for which she reviews grants and is since 2012 has been on the Editorial Board for Archives of Suicide Research.